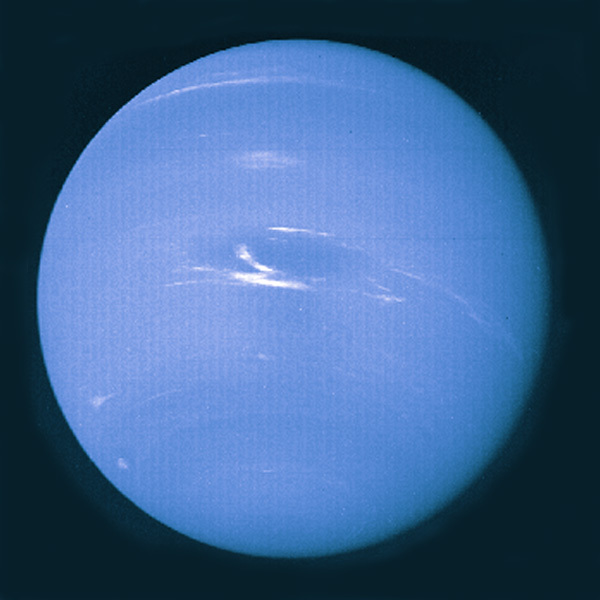 I became interested in astronomy when I was about eight years old. just an excuse for some pretty pictures of the night sky. a while to load, but the pics are worth waiting for. CLUE: Aw, come on, this one's so easy, even for those of you in the southern hemisphere... Okay then - this is not Ursa Minor, the Little Bear. ANSWER: Ursa Major, the Great Bear, the Plough, the Plow, the Big Dipper - whatever stirs your coffee! Orion, but that's too easy. 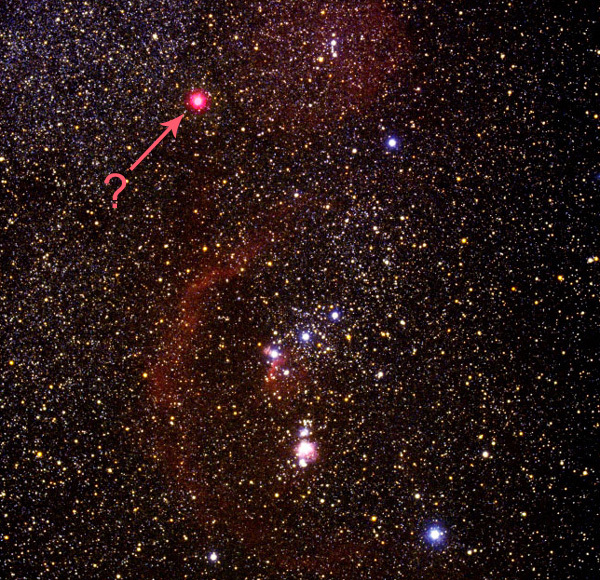 <eg> Name the arrowed red supergiant star. CLUE: Sounds like what you might get from squashed creepy-crawlies - or a film starring Michael Keaton and Winona Ryder. CLUE: Antipodean, no? Well then, it's on Oz and Kiwi flags. 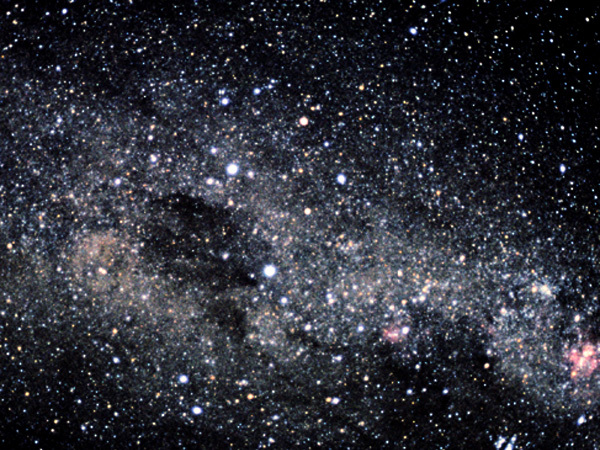 ANSWER: The Southern Cross, Crux Australis. 4. 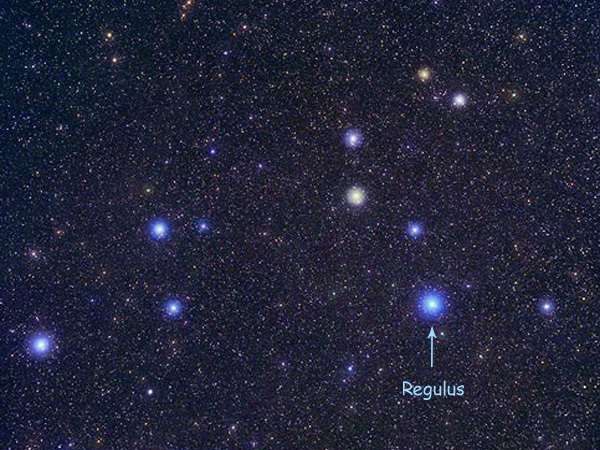 Name this constellation whose brightest star is Regulus. 5. 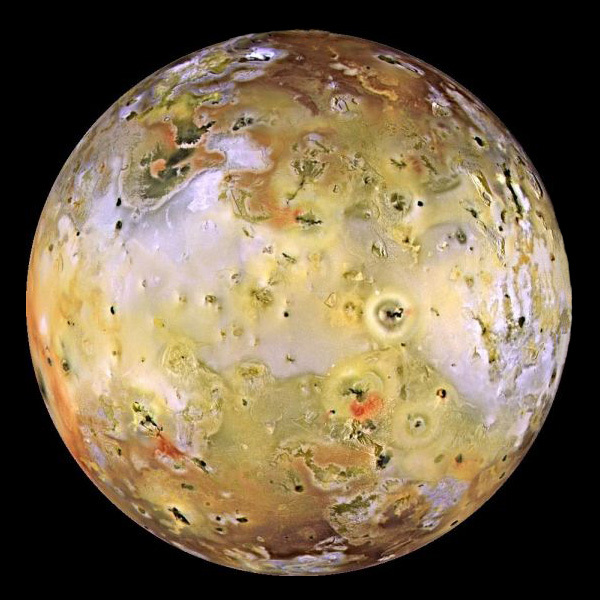 Closer to home, can you name this beautiful giant planet? CLUE: Its divine Roman namesake was well equipped for making toast. 6. 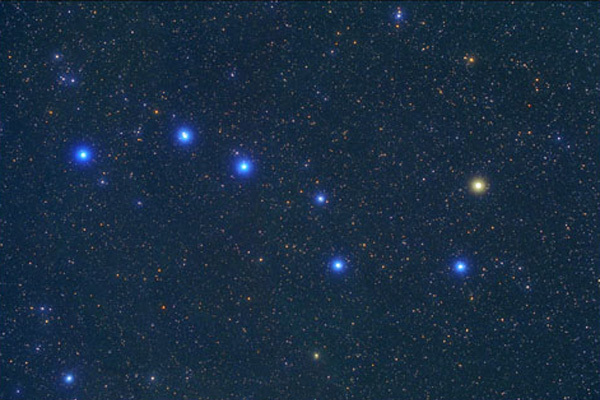 Name this star cluster, found in the constellation of Taurus the bull. CLUE: In Greek mythology, they were the daughters of Atlas. 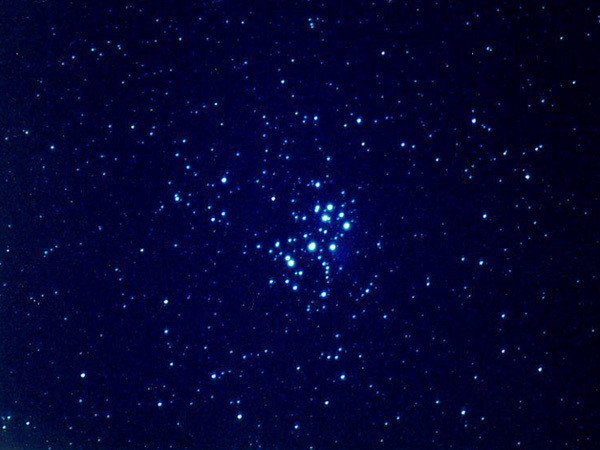 ANSWER: The Pleiades or the Seven Sisters. 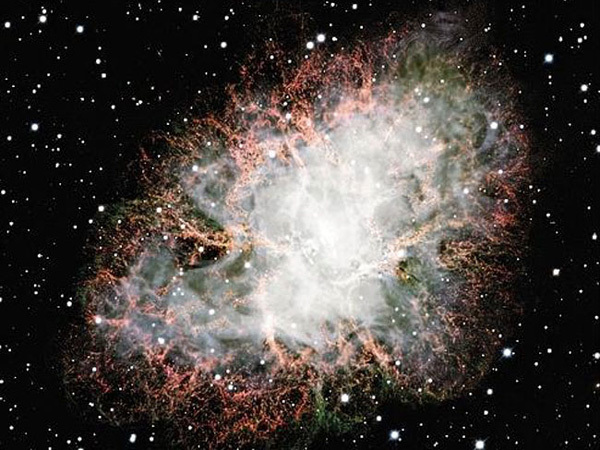 the mess left over from a star that went supernova in 1054 A.D. Name it. 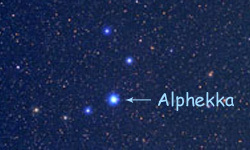 CLUE: It's in the constellation of Taurus, not Cancer. 8. 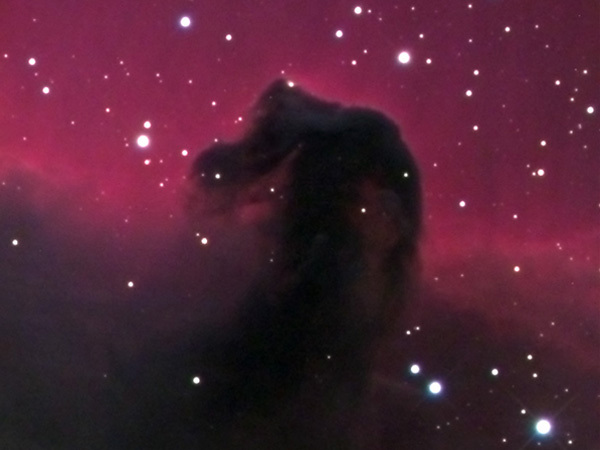 Name this dark nebula in the Orion nebula. CLUE: An unwelcome present from the Maffia? 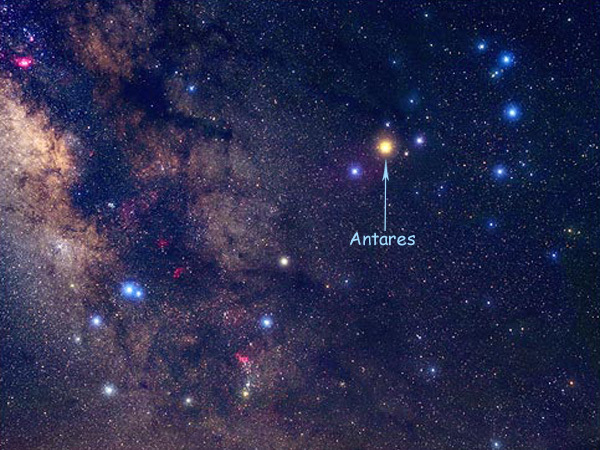 star is the red supergiant, Antares. CLUE: A character played by Wayne Pygram in 'Farscape'. ANSWER: Scorpius, the scorpion - Scorpio for astrologers. active that craters don't survive long there. CLUE: What's the number of this question? 11. 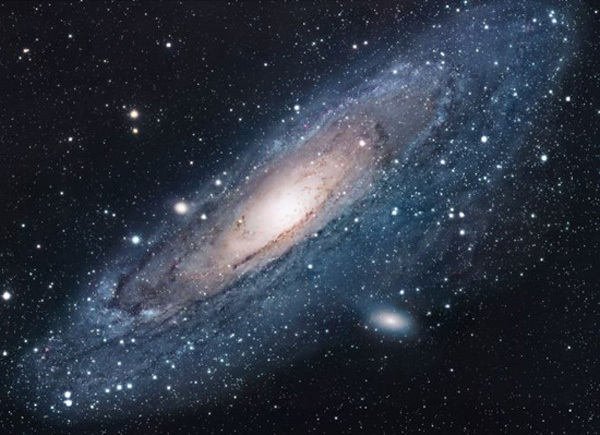 Name this beautiful galaxy, which can be seen with the naked eye. 12. 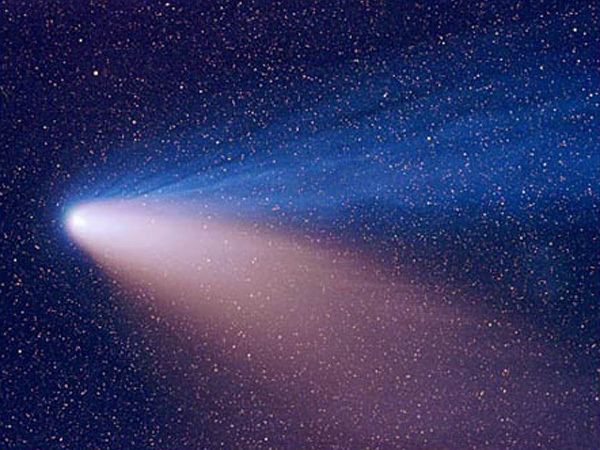 Name this distinctive comet which graced our skies in 1997.
here's the constellation of Corona Borealis, the Northern Crown.